While the Loews Orlando Hotels are spending unlimited amounts of money in security cameras, overtime pay for security guards, and hotel room for Critter Control Trappers, to trap and eliminate healthy, harmless, outdoor cats, others are gathering funds to save the life of one severely injured cat with a will to live. This cat had tilted pelvis affecting his hind leg motion and was covered in gasoline and mud in streets of Tehran, Iran. Then well-intentioned vets botched up his leg amputation but at least two pellets were removed from his head. He was flown to San Francisco and is making remarkable progress. Just take a look at this video. It will melt your heart. Special needs cats are super affectionate and intelligent in our opinion. On this Earth Day, sadly I was not in the mind frame to celebrate. I had wanted to attend an Earth event at the Miami Zoo. But just one photo of a happy zoo animal in commune with the earth speared daggers through my heart. My mind immediately pondered over the continuing saga of the Loews Hotel cats. Since becoming a caretaker and educator about outdoor, TNRMd community cats, I quickly observed and learned that these cats form a bond with the earth, their environment and their caretakers. When thinking about it carefully, these cats have it all-- food, shelter, attention and affection from caretakers and freedom. The freedom to roam, run, climb trees, take naps under a shady tree or on rock slab overlooking the bay or in a field of grass lazily watching crickets and other insects scaling blades of grass. Cats were domesticated over 4000 years ago in Ancient Egypt and became part of the family, part of everyday life, some indoors, some outdoors. Ironically this fact is punctuated in the artwork throughout the Loews Portofino hotel. Paintwork of the outdoor landscape -- beautifully manicured lawns, lush vegetation, grassy hills with a crown of trees, ornate urns, a regal gentleman posing, and in each image is a cat! I was so impressed by this branding when I first visited the hotel in May 2011. The slogan "Loews Loves Pets", the artwork of upper class residents outdoors with cats, indoor cats and dogs as hotel guests and the recent peaceful coexistence of outdoor cats all supporting the brand in unison. As a marketing professional, this was brilliant. Tragically the outdoor cats have been ripped away from the only home they knew. Today, they are traumatized. Some don't eat fearful of the unknown, or whether to trust humans again. Bernie, on his way to a new home, was vomiting violently. 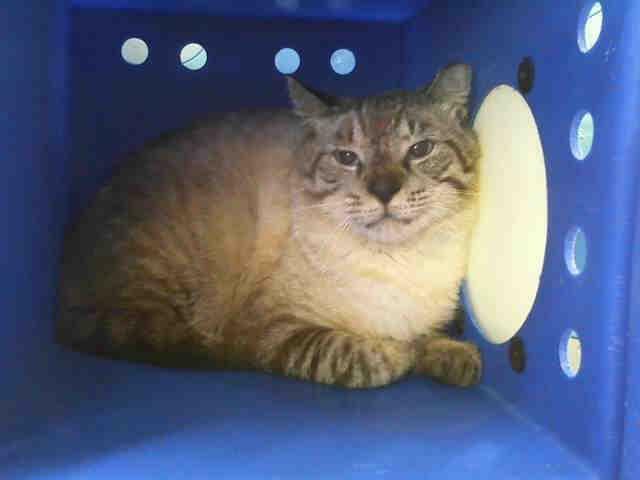 He was transported back to the foster mother. The road to relocation is a long, painful journey and some cats may not survive. We know this from experience. But we press on. That fear is like a cancer. Compassionate employees, some who were caretakers and many others who rallied and supported the effort, live under constant threat and intimidation. A longtime employee, Galena, was reportedly fired from Loews Royal Pacific for feeding the cats. She worked there for 12 years. Naturally the media want to speak with caretakers, with employees to shed more light on the truth. But after Galena’s firing, employees are more fearful than ever after warnings from Loews not to speak to anyone about the cats or feed them while trapping continues or risk losing their jobs. I know what it is like to work under this intimidation, and when an employer’s actions go against my values. It’s no longer a job. It’s hell. 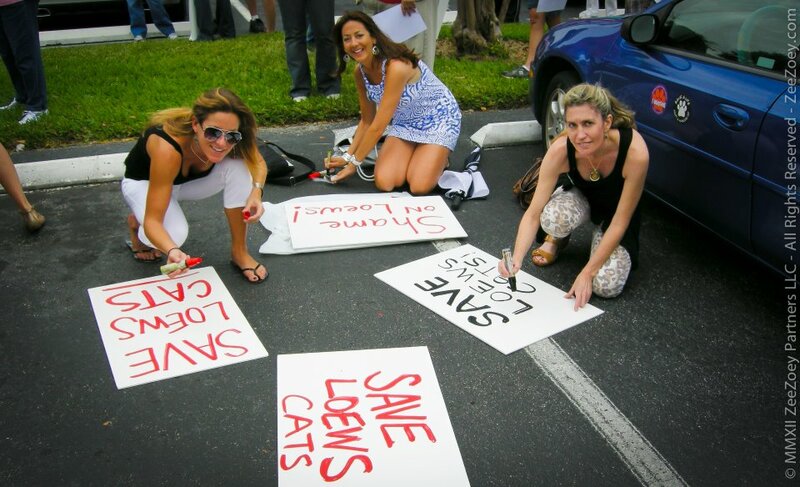 Volunteers who are actively bailing out the Loews Hotel cats from animal services, tiredly seeking and placing the cats in foster homes, and the preoccupation for vet care for a number of injured cats, have reached their breaking point. All this on top of their full-time jobs, on top of their other volunteer work in rescuing non Loews TNRd cats, on top of their own families and responsibilities—it’s overwhelming. How can one or two men in power inflict so much pain and suffering upon innocent animals and people? We know the answer. History is plagued with examples. Universal's Cat in the Hat will no longer lift the corners of my mouth with fond childhood memories. 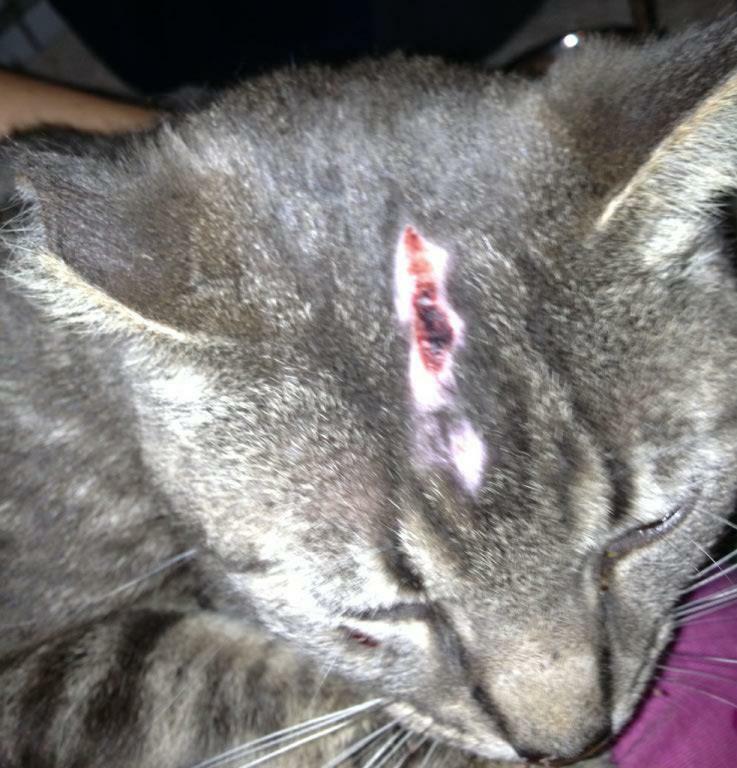 It is now a negative anchor of the injured Cat in the Trap, these cats which I consider to be like barnyard pet cats. This is one of the lowest points in our efforts to overturn ignorance and discrimination. But I refuse to end on a sad note. There is always hope for the future because we keep fighting through education. Only through education will we enlighten minds and uplift hearts. 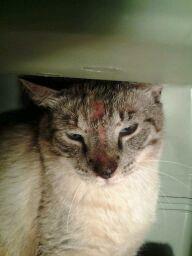 Soon I’ll be sharing a happy story about Charlie, a cat dumped in my neighborhood. After months, I gained his trust that eventually I could pet him and pick him up in my arms. Halt! For my heart leaps with false hope. Not all affectionate, outdoor cats adapt to the boundaries of indoor environment. But his story is only the beginning of a new journey. Stay tuned. Thank you all for your continued support and prayers for the Loews Hotel cats. Here's an excellent article in Chicago Now in the section of Steve Dale's Pet World addressing the Loews hotel cat situation. 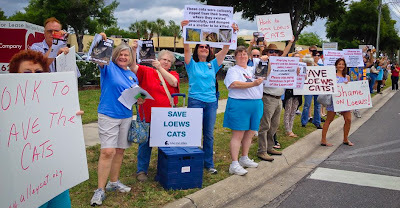 ORLANDO, FL (April 4, 2012) – Loews Hotels, whose pet-friendly slogan claims "Loews Loves Pets" hired a wildlife animal exterminator this past week to trap their outdoor cats and take them to the county animal shelter-- a death sentence. The move ignited concerns from animal lovers across the country, including hotel guests, who have come together to fight back and save the cats from death. Loews has ordered that employees and vendors are no longer allowed to feed the cats on the property as of Wednesday of last week. Employees who were once permitted to care for them are now being threatened with losing their jobs and disciplinary action if they continue. Without food, the cats are starving and suffering. One employee reports that one cat appeared to be "skin and bones" due to withholding of food and water. Employees monitored and fed the cats on their own time and money. 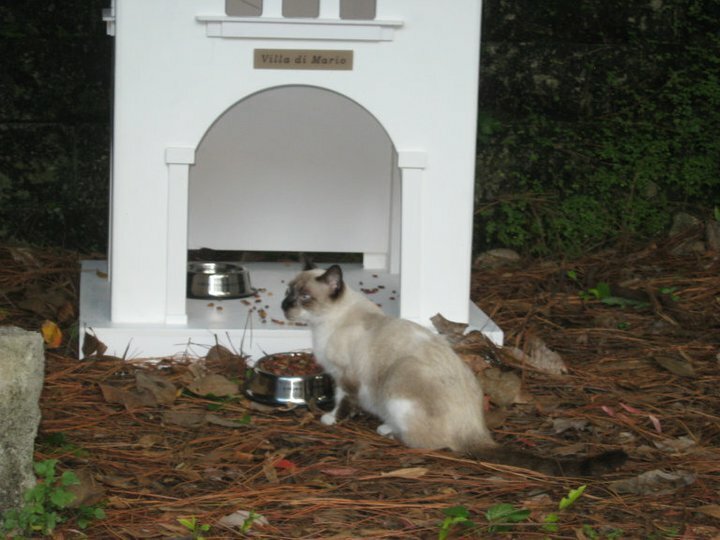 The controversy stems from the fact that the Loews Orlando hotels once employed TNRM (Trap-Neuter-Return-Manage)—a proven model to address outdoor cats that are not adaptable to the indoors. The cats are all trapped to get spayed/neutered, dewormed, rabies vaccinated, then returned to their outdoor home environment and managed by caretakers. The TNRM was successful at the Loews Portofino Bay and Loews Royal Pacific in Orlando for years. The cat population remained at below 20. Furthermore, these cats were like barnyard, outdoor pet cats given Loews' extensive grounds like a farm. 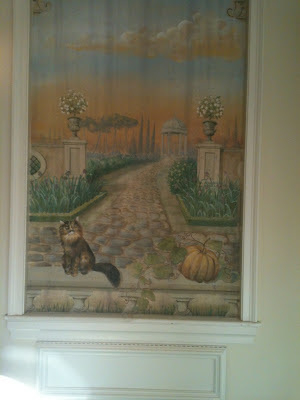 These Loews cats all had beautiful Italian-theme feeding stations, to complement the Portofino theme, but still way off the guest path. 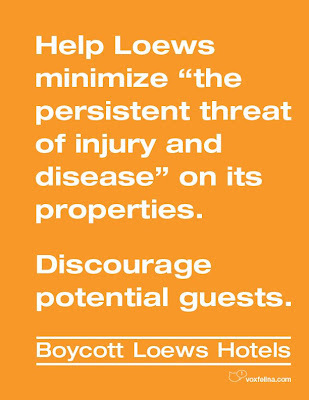 "I’m beyond shocked Loews would do this" says one employee who asked to remain anonymous for fear of losing their job. 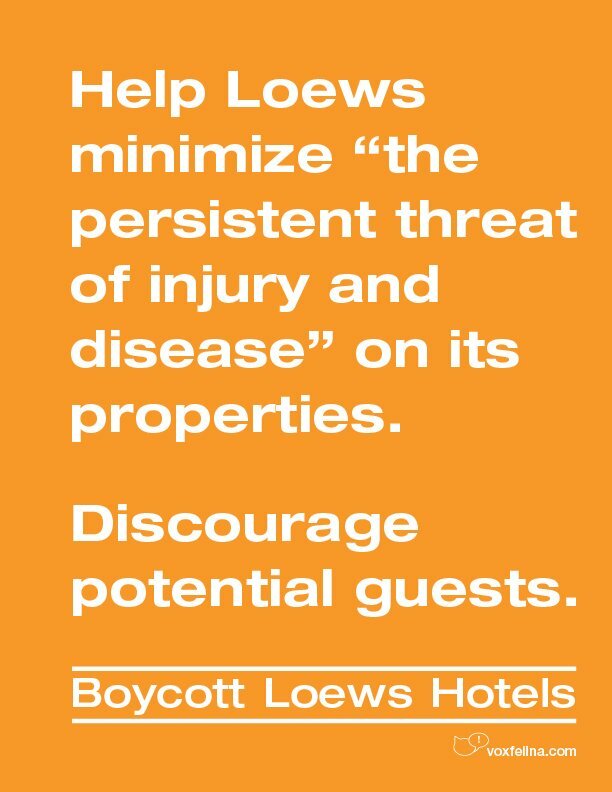 "Loews allows other indoor ’domesticated’ pets inside the hotel in close proximity to children and other guests. No one knows the temperament of a dog or any pet. As staff, we know of the persistent problems of fleas and dog urine in the guest rooms."